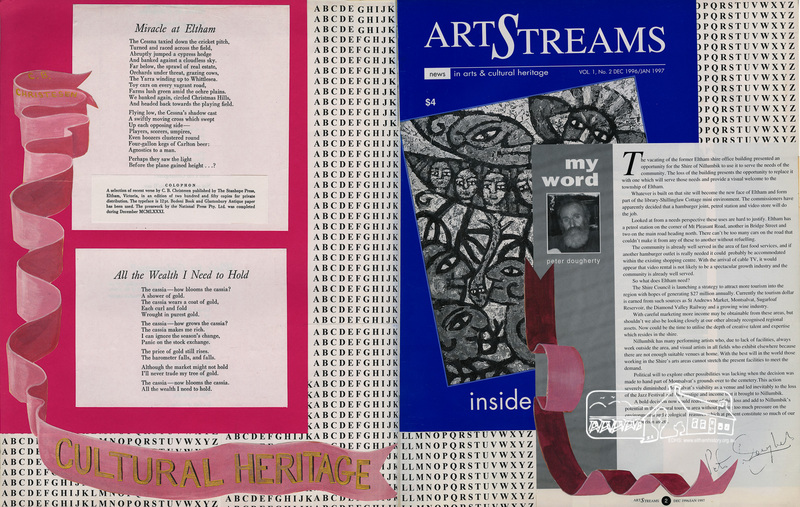 Collections | Eltham District Historical Society Inc.
About Us, Collections, Early Eltham, What's New? 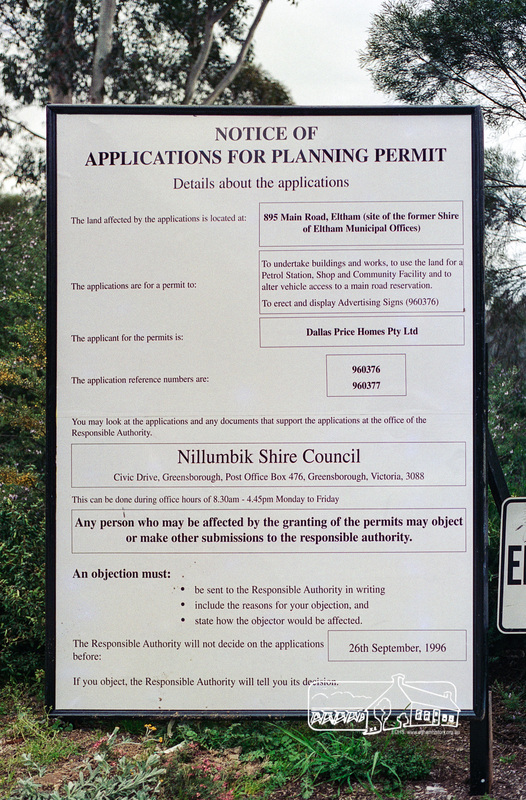 The original Shire of Eltham was founded in 1871. Prior to its founding, the district was managed by the Eltham District Road Board, which was established in 1856. The first rate assessment commenced in 1857 for the year ending October 14, 1858. The honour of being recorded with the first assessment went to a farm of 110 cultivated acres at Lower Plenty, owned by John Porter and occupied by Albert Baines. It was assessed at 6d/acre providing for a rate income of £2 15s. 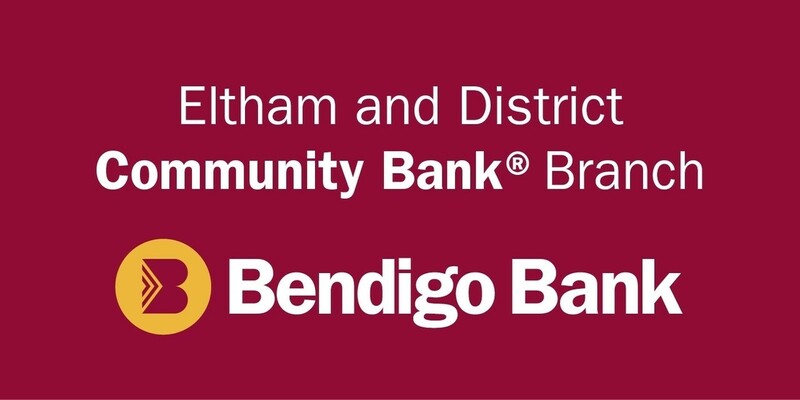 In July 2017, officers at the Shire of Nillumbik discovered some early Eltham Road District Assessment books and donated them to the Eltham District Historical Society. We were very excited as we soon realised the seven volumes handed over to us were the district’s first six years of rate assessments. This was a unique and significant record of early settlers in the pre-Shire of Eltham. They immediately became one of the oldest and most valuable items in our collection. Given the precious nature of this collection, priority was given to digitise the rate books and place them in suitable archival storage to minimise further handling. Subsequent discussion amongst our Collections team arrived at the conclusion that the most appropriate home for this valuable record was the Public Record Office Victoria (PROV), the archive of the State Government of Victoria and who are charged with archiving and caring for all Government related records. An approach was made to PROV and the air of excitement was palpable, just as it had been for us. These records completed their collection of rate assessment books for Eltham. At a small ceremony held Friday, April 20 at the Local History Centre, Eltham, members of the Society and our Collections team, along with Ms. Vicki Ward, MP for Eltham, presented the seven volumes for 1858-1863 along with the complete set of digital files to Mr. David Taylor, Community Archives Manager and Mr. Charlie Farrugia, Senior Collection Advisor, Public Record Office Victoria. 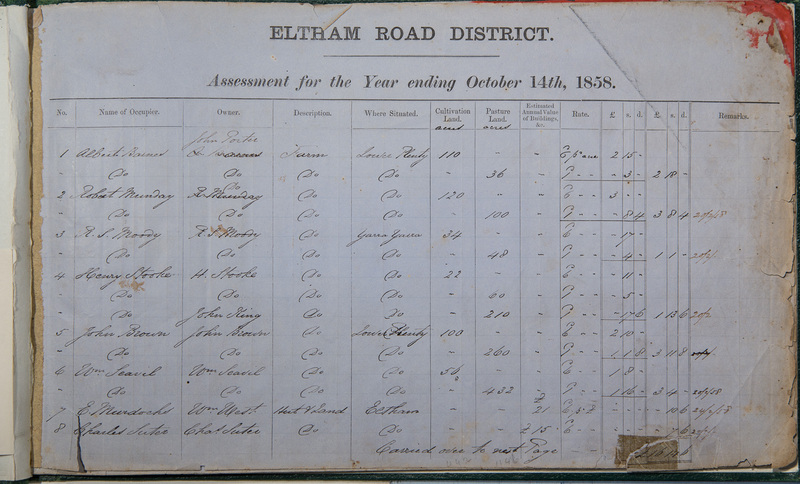 “Thank you to the Historical Society for providing us with Eltham’s earliest known rate records. The receipt of these records means that a complete set for the district is now available for researchers to access from the state archives alongside other districts across Victoria. Rate books are a valuable resource for family and property researchers and are amongst our most popular records for those who want to know more about the history of their home. It’s fantastic to be able to add these early books from 1858-1863 to our collection,” David Taylor, Community Archives Manager, Public Record Office Victoria (pictured far right). Society Vice President, Peter Pidgeon said that whilst the Society was reluctant to see the rate assessment volumes go, it was the right thing to do as they are now re-united with their brothers and sisters and Public Record Office Victoria was best equipped to care for them in a climate controlled environment for perpetuity. Ms. Vicki Ward, MP for Eltham and Mr. David Taylor, Community Archives Manager, Public Record Office Victoria inspect Eltham’s earliest rate assessment books; 20 April 2018. This is another example of the extended reach the Society has been able to achieve in being able to catalogue and share our collection via Victorian Collections. 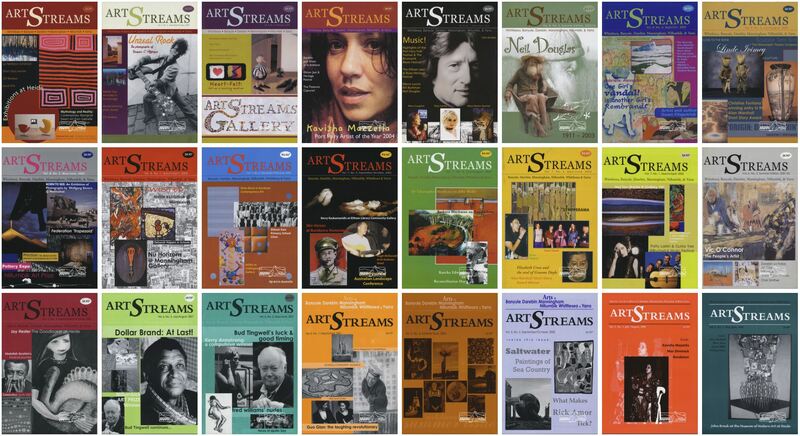 The Society will continue to retain the digital version of these records in our catalogue on Victorian Collections, which are fully accessible as per the following links. 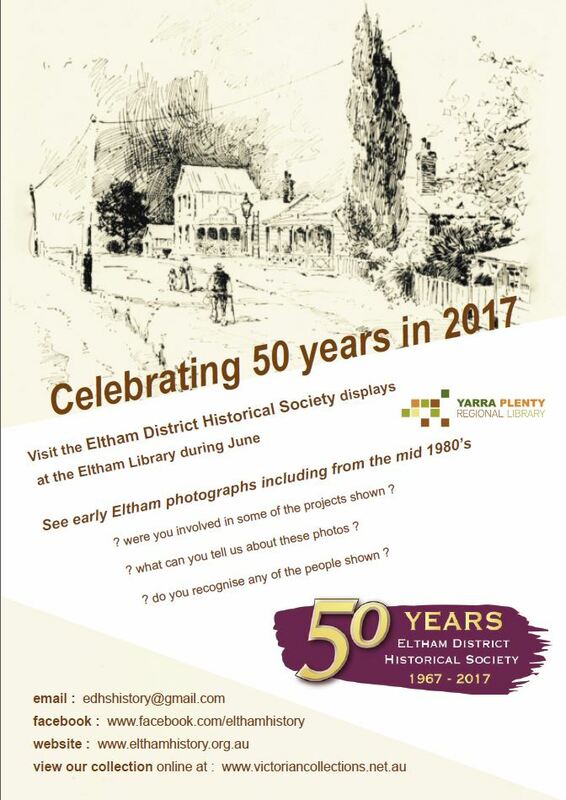 All are welcome to come along to our first meeting of the year to be held Wednesday, 14th February, 8:00 p.m. at the Senior Citizen’s Centre and our 303rd meeting since the Shire of Eltham Historical Society was formally established in October 1967. Through the magic of Historypin we plan to travel back in time, 50 years to February 1968. Big changes to the township were afoot with the pending duplication of Main Road. 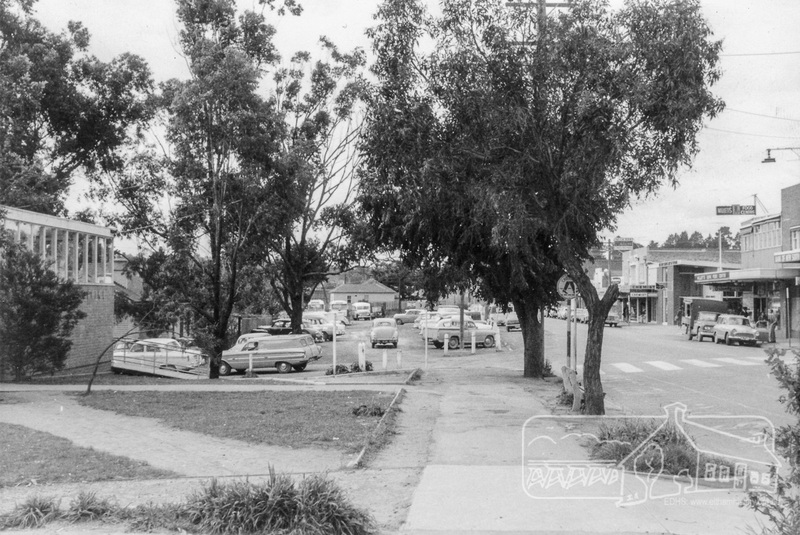 A series of approximately 50 photos were taken in February 1968 by an unknown person of the section of Main Road planned for duplication, commencing at Pitt Street and traveling towards Research through the shopping centre, finishing just past Elsa Court. These images now form our first showcase collection on Historypin, an online tool which combines with Google Street View to transition between views from ‘Then’ and ‘Now’. At our meeting we will introduce this Historypin collection and view a number of the key images. The intention for this meeting is to provide a two-way discussion; so comments, personal recollections and corrections are most welcome as we take a Valentine Day’s walk down Main Road together. 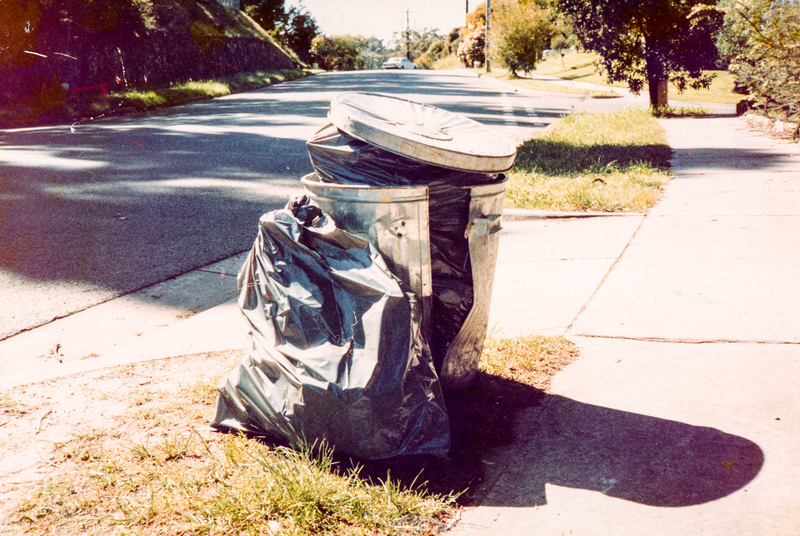 #ThrowbackThursday – Who remembers the old galvanised steel garbage bin? Who still has one? 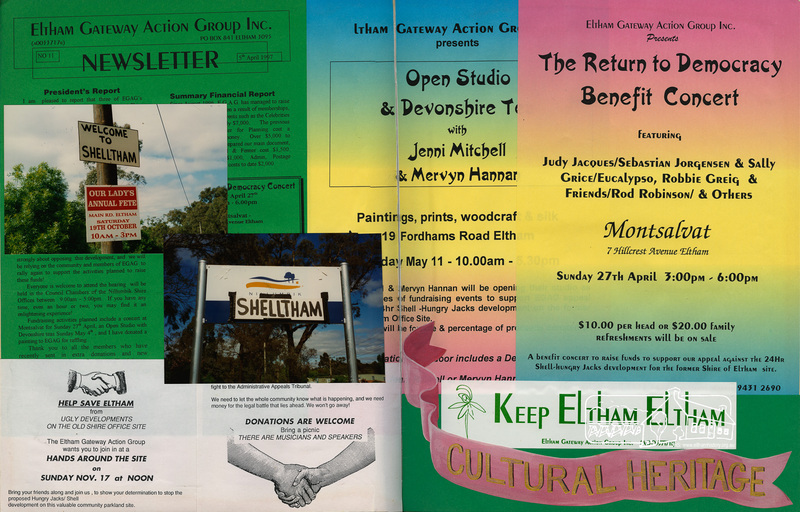 If you would like to see more photos from our collection of around the Shire of Eltham in the 80s then make sure to drop into Eltham Library throughout June and check out the display. We welcome any feedback especially in helping identify some of the people. 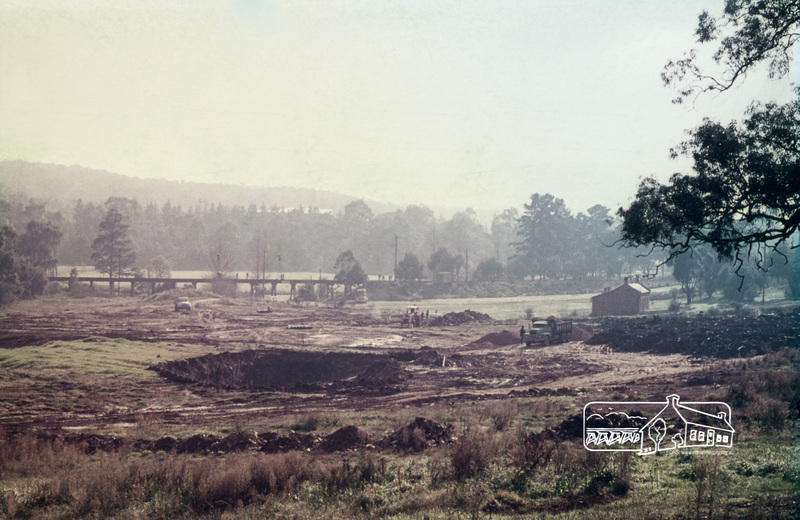 Our Society is fortunate to have access to digitised images in the Shire of Eltham Pioneers Photograph Collection, through a joint project with the Yarra Plenty Regional Library, funded by a State Government Local History grant. 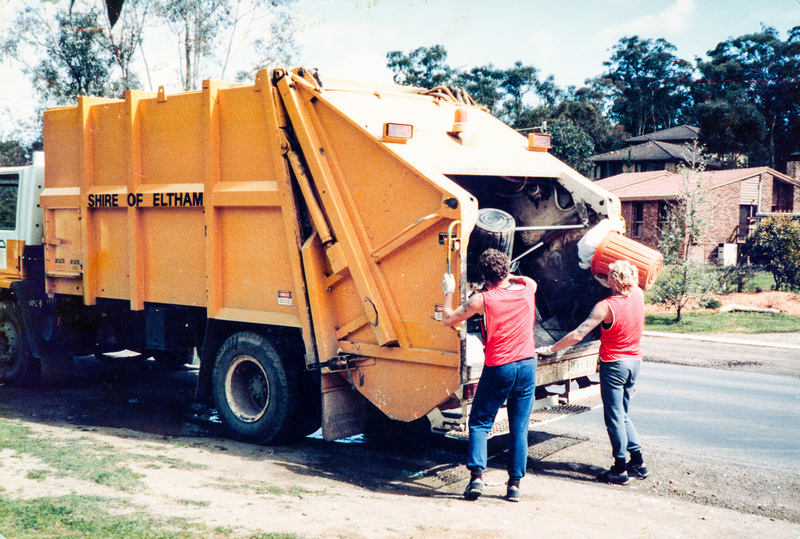 The historic photograph collection was established by the Eltham Shire Council in 1971 and is held at the Eltham Library. At our first Society meetings in 2014 and 2015 we received positive feedback when we presented and discussed selected images from this collection. Accordingly this year for our meeting on Wednesday 10th February 2016, at 8.00pm at the Eltham Senior Citizens’ Centre, we will again choose a number of photographs of local interest. This time we will consider some images that are unusual or not often viewed so as to encourage comments and contributions from members and visitors. Introduction and commentary on the pictures will be provided by Russell Yeoman and some other members. Russell has been involved with the collection since its inception when some were used in the 1971 Shire publication: Pioneers and Painters. As at all of our meetings, new members and visitors are most welcome.